The OR4x-S (a 4 port optical receiver) receives optically transmitted CATV signals This unit is primarily used in upgraded cable television and fiber distribution systems. Optical power indicators and RF test ports on the front panel are conveniently accessible to monitor the receiver’s operating status. 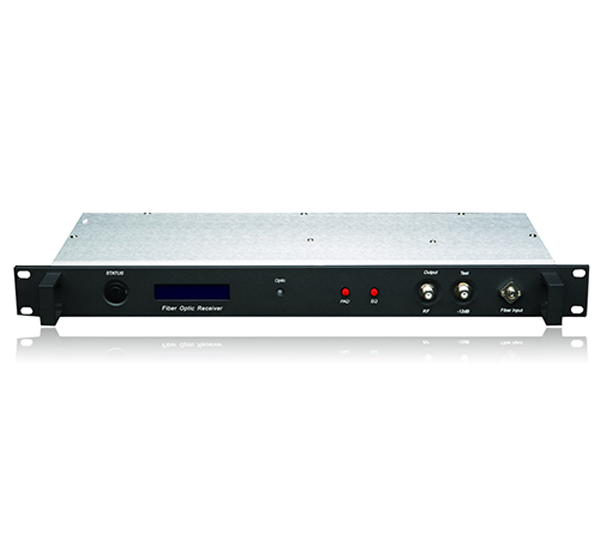 Each receiver is designed to fit into a standard 19“ rack and supports 4 optical receiver modules.